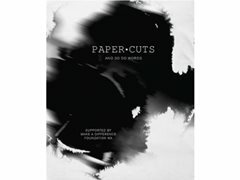 Synopsis: “Paper Cuts: And So Do Words” is a film about two highschool students Riley (The Bully) who battles with the guilt of his ex-friends suicide and Alia (The Victim) who struggles with the torment her friends put her through and the ever overwhelming battle she has with her suicidal tendencies. Riley and Alia have met at a peculiar time in their lives but little do they know that they can help each other overcome their dark struggles through the power of words. About the Film: “Paper Cuts: And So Do Words” is a film that is being produced for the verbal bullying initiative “Paper Cuts: And So Do Words” created by Di Wilcox the CEO of the Make A Difference Foundation. The goal for this film is to spread awareness about verbal bullying and how much power words have. Through a powerful message and a rich and complex narrative we aim to push this initiative forward to a larger audience. About The Director: Jack Ruefli is a Director who has been published in Digital Filmmaker Magazine for his last short film Doors and won Best Director at the Scotch College Media Night, he loves working with others and is very passionate about film. About the Crew: Working alongside Jack is a very skilled crew if filmmakers who are very passionate and professional. Eager to work in a team the entire crew are prepared to do anything to carry out their duties to the best of their abilities. *Directors Note: For an audition contact the email address for your interest. Please supply a photo of yourself and your name. You will be given a time to come and audition for your role. Backstory: Was bullied in primary school and later bullied by her friends in high school. Father recently committed suicide as a result from depression and anxiety. She lives at home with her mother and recently has changed schools due to her trying to commit suicide herself. Goals: To get through schooling and try to start a new life in a new school. In the future she aspires to be a writer.